Travel & Food does go together, and European food could definitely use more international cooks. Even some one like me. But I only cook for myself currently, but surely don’t mind showing a sneak peak of an international cook in a kitchen in Corvetto, Milan. I am no expert, but more options in food is always a better thing for me and the scores of Indian tourists visiting Europe. We do love the local traditional food, but you still want to have something familiar that is not priced super expensive like most Indian Restaurants in Europe. Fortunately a new place opened up in Milan. Its called the Chickenbot located in Pero. They make only one dish and that is 1 kilo of marinated chicken along with 600 gms of spiced little potatoes prepared in an Italian style. The food is packed very well and is absolutely delicious. This is a new concept and seems to be a hit. The food is great and they deliver it even to far away places. For 13.5 € the home delivery can definitely feed 2 or more people. This is a great concept that can be a hit in India too. There are more health conscious Indians who would completely relish this food service business plan in action in their cities. Lately things are changing in Milan. There is also a new Indian vegetarian place that delivers good food. But previously, I remember a different time when we were very constrained with food choices. Really hope the competition from these new places wakes up the others. Personally, I think Mac Donald’s is doing a great job in Italy. New burgers keep coming and they also keep customers engaged with the new automatic ordering system. The food at MacDonalds is still not too oily in comparison to the others in this fast food category. On the other hand, I remember leaving my Burger King burger half eaten in Milan. Because some one doesn’t know how to use the Henny Penny machine very well. Hence, I believe that to get the best food it is important to have a very level play ground that invites the best cooks from around the world. The world cannot be normal if MacDonalds has the best fast food around. Maybe MacDonalds should start serving Masala Dosas. 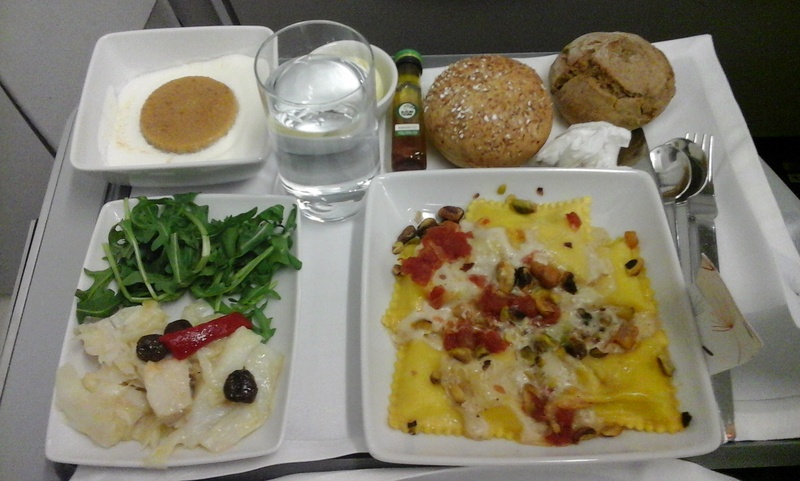 “Its week 2 of our great Indian family vacation in Europe and I am writing this Blog from Milan. The previous week in Germany was super fun, as my elder brother and me introduced our parents to Airbnb. For a typical middle class Indian family, most decent Airbnb in Europe can end up being quite a luxury for a fair price. Our last stay was hosted by a friendly English family in the suburbs of Munich. This place will leave us with very fond memories. The cottage by the lush green field looked so peaceful, that you would never guess that just miles away on a different day over 80 years ago, horrible things were happening in a complex built specially for that very reason. Yes, I am talking about the Dachau concentration camp. My mom is very choosy about the places she visits. She even lost appetite at an authentic Chinese restaurant in the heart of Milanese China Town in Paolo Sarpi, just because the exotic raw sea food and meat in display looked very different to her conservative mindset. She didn’t seem to mind the clear veg tofu soup that arrived briefly though. Vising the concentration camp unfortunately didn’t meet her idea of a fun vacation in Europe. Me and Dad, ordered the Indian non-vegetarians favorite soup: the Chicken Sweet Corn soup. Nonetheless, we slept in luxury in our Munich cottage with over 4 duck feather stuffed cushions keeping each of us comfy in our grand Airbnb cottage. Fast-forward to Milan today, I was looking for a place near the center that would not wring my wallet dry. Also some place that will enable my old parents to walk through Milan like me the “Milan Ka Raja aka King of Milan“. I may have actually found the perfect place. Small but very conveniently loaded with everything we need to cook ourself a nice Indian meal of Rajma Chawal. Or even some Riso Basmati con Fagioli or Basmati rice with Kidney beans prepared in a tomato, onion sauce garnished with spices like coriander, cumin, mint and hot red chili powder. To all the stranieri or foreigners reading this, Rajma Chawal is a gem of a food. Ask anyone from Delhi or North India. The Italians may often seem a bit conservative with their food, but not as much as some Indians. During my stay in international Germany, my thoughts were reaffirmed that Thai and Sri Lankan food did very well with international crowd. Thai in particular enjoys popularity in all parts of the world. Comparing Thai with Indian, I realized that the usage of fish and chicken, with exotic color named sauces and veggies made it simple to prepare as a nutritious meal. That went easy on both Indian and European tummies. Sri Lankan Food in Europe: Yes please! 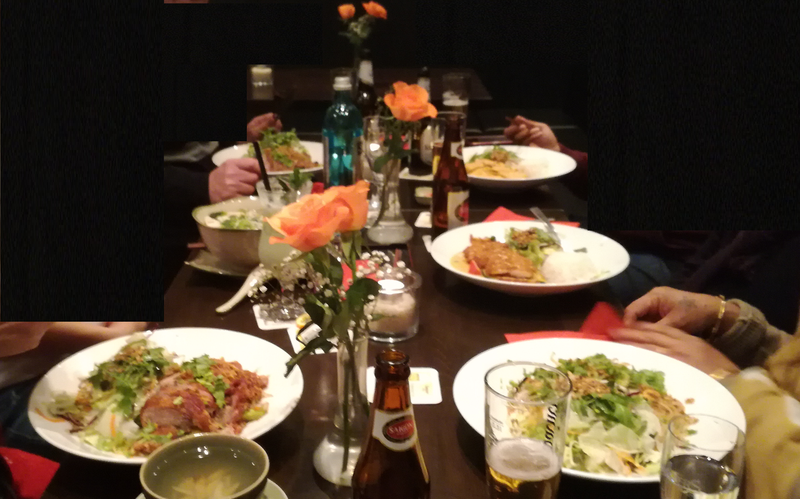 The Sri Lankan restaurant named Bambooh in Nuremberg, has friendly staff. They quickly prepare delicious meals using a seemingly Thai business model . With a Chef sporting a Wok in a see through kitchen, this restaurant is awesome! Indian food isn’t much different from Sri Lankan. I have lived my early years in Kerala in the south of India. It is separated only 30 kms from Sri Lanka by sea. I thus would gladly indulge myself in some Sri Lankese any day. Milan has a Sri Lankan restaurant called Lucky Seven near Via Ripamonti. Here you get to sample an all you can eat at double the price of the cheapest Chinese AYCE. If you ask me if it is worth it?